With spicy flavors heating up the flavor market, inspiration for industry trends draws from sources originating around the world. Read on for a break down of some of the flavors prominent in today’s flavor industry. Coriander: A mild flavor similar to lemon and sage, coming from the same plant as cilantro. Used in stews and marinades, desserts and sweet pastries, curries, meat and seafood dishes. Chili powder: Varied hotness levels from mild to extremely spicy. Used in Mexican- and Southeastern-inspired dishes such as chili con carne, stews, egg and shellfish preparations. Cayenne pepper: Extremely hot flavor with little aroma. Used in Mexican and Italian cooking, but also to add spice to salsa, dips, tacos, marinades and egg dishes. Vanilla: Sweet and perfumed with a woody flavor. Used in desserts such as ice cream, candy and cake, along with beverages to enhance other sweet flavors. 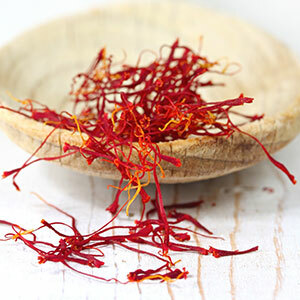 Saffron: Spicy and bitter flavor with a pungent smell and distinctive red color. Used sparingly in stews, baked goods and grain dishes. Sesame: A mild, nutty flavor. Used as a grain for baked goods, oil, candies and tahini. 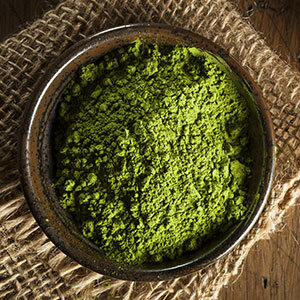 Matcha: Ground specialty tea with a sweet, slightly astringent flavor a distinctive green color. Used in beverages, desserts, oatmeal and granola, and packs an antioxidant punch that also boosts metabolism and detoxify, calms and enhances mood. Ginger: Slightly hot and biting flavor, with a sweet and woody fragrance. Popularly used in baked goods such as gingerbread, along with Asian dishes. Cardamom: An intense sweet flavor and very aromatic. Used in both sweet and savory dishes including curry blends, baked goods and coffee. With anti-carcinogenic, cardiovascular health and cholesterol-aiding properties. Turmeric: Golden and slightly aromatic with an intense, slightly bitter flavor. Contains anti-inflammatory curcumin. 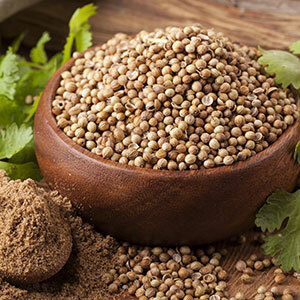 Used in curry powder, lentil and meat dishes, relishes, smoothies and pickles, and sometimes replaces saffron. Cinnamon: Sweet and woody aroma and flavor. Popular in desserts and sweet baked goods, along with savory protein preparations in Middle Eastern dishes and pickling and beverage flavoring in stick form. Cumin: A warm, bitter flavor that is brought out by toasting. Used in citrus marinades, stews, vegetables.